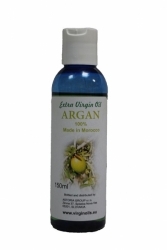 Argan OIL -100% Extra virgin ORGANIC, first cold pressed, GMO free. Made in Morocco. This very rare extra virgin, cold-pressed oil comes from Morocco. "Moroccan gold" as it is also called, is obtained by cold pressing, that are preserved all the important vitamins, minerals and other valuable substances in it. Such manual production of argan oil takes timely intensive labor , and to obtain one liter of argan oil is needed 30 kg of nuts. 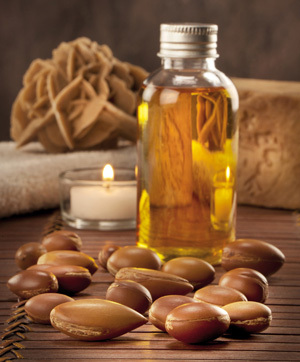 Argan oil is rich in vitamins E and F, which are one of the most important vitamins for healthy skin. Mimics the function of collagen. Furthermore contains unsaturated fatty acids and other substances which have beneficial effects on skin, hair or nails. 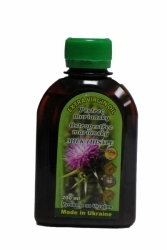 This oil is excellent for moisturizing and skin regeneration. The Moroccan miracle will protect your skin from environmental effects, protects against UV rays, helps to maintain skin elasticity and skin is after it soft and supple. Well not only skin may benefit from the effects of rare argan oil. 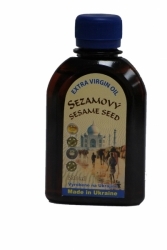 It is also suitable to beautify and treatment of hair and nails. 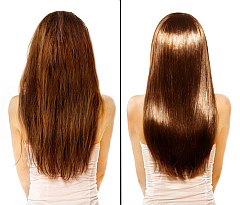 If you get used half an hour before washing your hair, rub a little argan oil, your hair's shine, will work beautifully shiny and healthier. Strengthens and nourishes brittle nails. Argan oil can also be used for problems with eczema or psoriasis, and generally suited for dry skin. Despite the fact that in terms of oil, is also suitable for oily skin prone to acne. It has antiseptic properties and helps to reduce any acne scars. Its advantage is that it is easily absorbed and after its use will not feel greasy. © 2015 virginoils.eu All rights reserved.